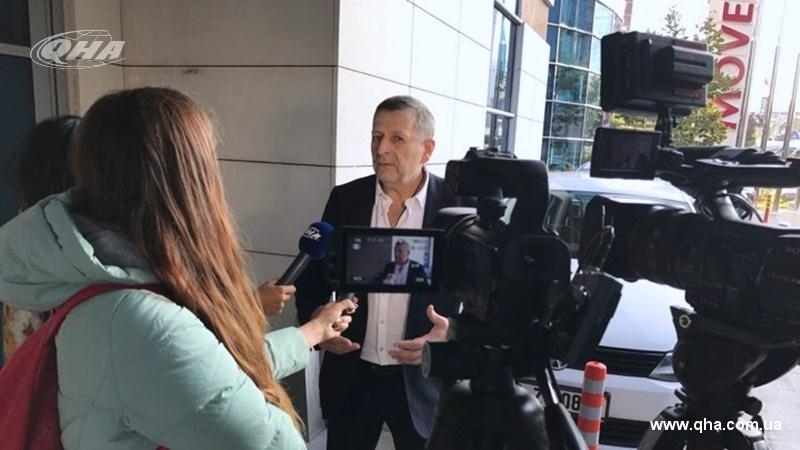 The Deputy Chairman of the Mejlis of the Crimean Tatar people Akhtem Chiygoz gave the first interview after being released to QHA correspondent in Ankara. Chiygoz stated that he had a goal to return to the Crimea. The Deputy Chairman of the Mejlis went on saying that during his release he was ready for any development of events. October 25, Deputy Chairmen of the Mejlis of the Crimean Tatar People Akhtem Chiygoz and Ilmi Umerov, previously convicted in the occupied Crimea, were extradited to Turkey. Chyigoz and Umerov were first brought to Simferopol, and then sent to Russian city of Anapa by plane. The plane with representatives of Mejlis left to Ankara at 13:37 local time. Later it was informed that they arrived in Turkey. The Head of the Mejlis of the Crimean Tatar people Refat Chubarov said that Russia would go for correcting its criminal actions against Ukrainian political prisoners. He noted that all political prisoners should be released, which would be the first step to correcting the situation. President of Ukraine Petro Poroshenko appreciated the efforts of Turkish President Recep Tayyip Erdogan in release of Chiyhoz and Umerov. Reference: The so-called Supreme Court of Crimea on September 11 fully supported the charge against the Deputy Chairman of the Mejlis of the Crimean Tatar people Akhtem Chiygoz, which was requested by the prosecutor's office providing for 8 years of imprisonment. September 27, the Simferopol district "court" convicted the Deputy Chairman of the Mejlis of the Crimean Tatar people Ilmi Umerov. The occupying court found him guilty of separatism under article 280.1 of the Criminal Code of the Russian Federation (Public calls for actions aimed at violating the territorial integrity of the Russian Federation) and sentenced him to 2 years in a colony-settlement and 2 years of a ban on public activities.